Located 500 metres from Gaudi’s La Pedrera Building, Sweet BCN Youth Hostel offers rooms and dormitories with shared bathrooms. Featuring original ceilings and floors, this bright property has a 24-hour reception and shared lounge. All simply decorated accommodation includes free WiFi. Dormitories feature bunk beds and private rooms have a double bed. Bed linen is provided and towels are available for an extra cost. All rooms have lockers with keys. Sweet BCN Youth Hostel offers luggage storage and lockers are available. You can find a wide range of shops, bars and restaurants within a 5-minute walk of the hostel. There is a total of 5 bathrooms to be shared among all guests and a fully equipped kitchen. Each guest has its own space in the kitchen to place food. There is also a shared dining area and a large living room area for travelers. 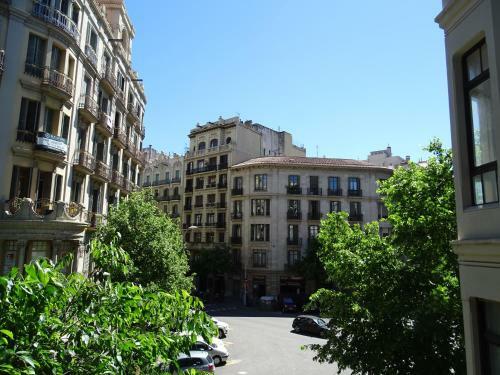 Plaza Catalunya is a 15-minute walk from the property, while the Sagrada Familia Basilica is a 10-minute walk away. 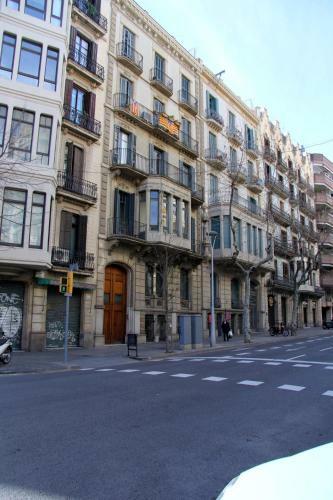 Diagonal and Verdaguer metro stations are both within a 5-minute walk from Sweet BCN Youth Hostel. Please inform Sweet BCN Youth Hostel in advance of your expected arrival time. You can use the Special Requests box when booking, or contact the property directly with the contact details provided in your confirmation. This private double room has free WiFi and access to shared bathroom facilities. This dormitory room has bunk beds, free WiFi and access to shared bathroom facilities. Rate: € 15.75 ... € 82.50; select dates below to get current rates. This bed in dormitory features a microwave, stovetop and air conditioning. Rate: € 18.90 ... € 89.83; select dates below to get current rates.